Watch GHOST Video for "Faith" As a Recap for "A Pale Tour Named Death"
Swedish band GHOST has just wrapped up its hugely successful “A Pale Tour Named Death” North American tour – you can check our own live coverage for the Miami Beach show at this location. Today the band has premiered a video for the song “Faith”, directed by Bill Yukich, with photography by Ryan Chang, and shot at various stops along the way. 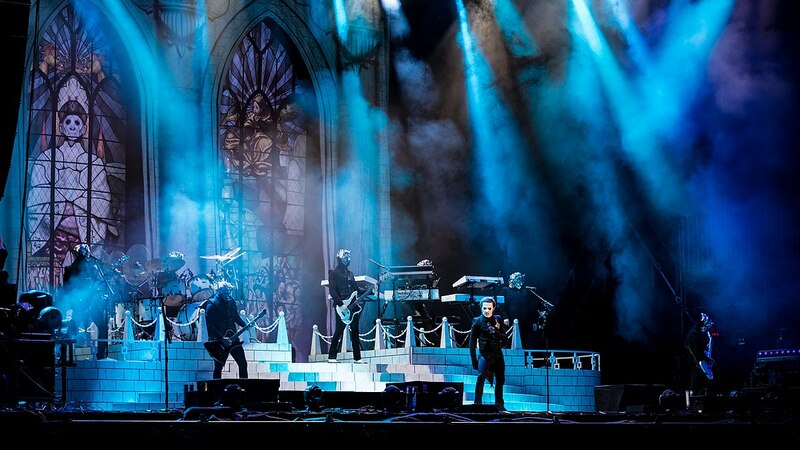 The North American trek, in support of its latest album, “Prequelle”, which came out in June, visited nearly 40 cities, including Chicago, New York, Los Angeles and Toronto. GHOST leader Tobias Forge performed as a “new” Papa Emeritus on each of the band’s first three albums, with each version of Papa replacing the one that came before it. Papa Emeritus III was retired in favor of Cardinal Copia before the release of “Prequelle”. The album debuted at No. 3 on the Billboard 200 and features the chart-topping rock single “Rats”. The disc was tracked last year at Artery studios in Stockholm with producer Tom Dalgety (OPETH, ROYAL BLOOD) and mixed in January at Westlake Studios in West Hollywood, California with Andy Wallace (NIRVANA, SLAYER). Earlier this month, GHOST nabbed two new Grammy nominations, “Best Rock Album” for “Prequelle” and Best Rock Song for “Rats”. The latest nods took place nearly three years after GHOST became the first Swedish rock band ever to win a Grammy Award — 2016’s “Best Metal Performance” for the song “Cirice”.